We sell a wide variety of locks, deadbolts, knobs in different finishes, padlocks in several sizes and shapes, latches and accessories. Our brands include: American, Kaba, Kwikset, Master, Schlage, Uscan, Weiser and others. We also offer higher security options from: Everest, Medico, Best. Visit our store in Sioux Falls, South Dakota. To learn more about the products and brands we carry in our store, please click on the “+” to view details. The E-Plex 5000 Series combines the strength, simplicity and reliability of Simplex mechanical pushbutton locks with the added security and features of electronic access control. 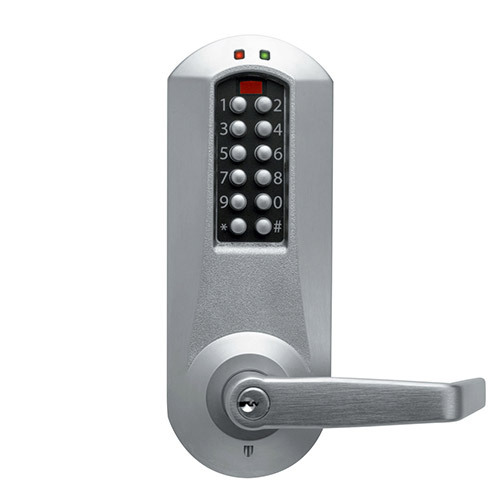 The lock controls access with up to 100 Access Codes. Exterior access is by combination or key override, and egress is by interior lever and is free at all times. User access can be programmed at the lock or managed with optional easy to use point and click Microsoft Excel™ based software. E-Plex software provides increased control as your facility’s users and access points increase. UNICAN Series L1000 locks provide fully mechanical, pushbutton combination access control for security sensitive, high traffic areas. Specifically designed for high frequency use, these handicapped accessible locksets are in compliance with all A.D.A. (Americans with Disabilities Act) and fire codes. They are perfect for apartments and condominiums, employee entrances, student dormitories, restricted areas in hospitals & airports; wherever limited access is required in commerce, industry, clubs and residences. 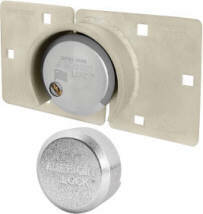 Series L1000 locksets eliminate problems associated with issuing and controlling keys or magnetic cards. A quick and simple cost free combination change (without removing lock from door) assures continuing maximum security after employees, tenants or guests leave. 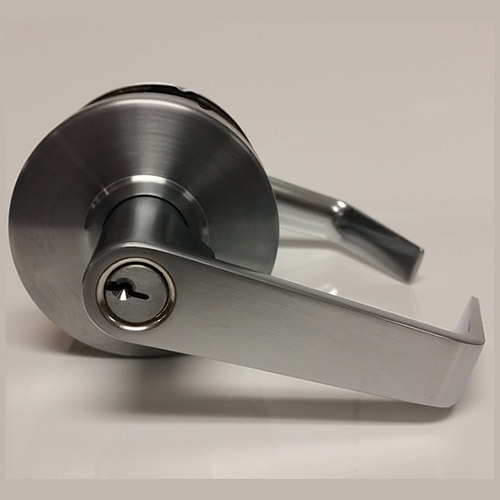 Now you can order any variation of these recently upgraded lever locks. The latest addition to the line of mechanical pushbutton locks, the Simplex® 5000 offers unparalleled strength, convenience, and flexibility. Exterior access is by combination. Egress is by interior lever and is free at all times. The 7100 Series lockset provides fully mechanical primary or auxiliary pushbutton access control by exterior combination, while allowing free egress at all times by interior thumbturn. Deadbolt models are manually relocking. Deadlocking latch models automatically relock each time the door closes. The streamlined housing with integrated pull makes the lock ideal for front and rear doors, garages, conference rooms, offices, garden cabanas, utility rooms, and workshops. 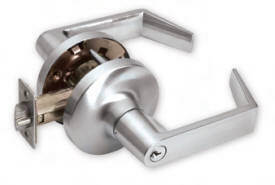 7100 Series locks mount above the existing lockset, or can be used alone. 9600 Series Cabinet Locks use the same proven combination system as our other pushbutton access controls, and are specifically designed for cabinet doors, desk drawers, and similar applications. Ideal for use in many locations: medicine chests, liquor cabinets, gun boxes, courier pick-up boxes, home entertainment units, cleaning supply cabinets, tool chests, private files, display cases, supply cabinets, audio-visual cabinets, and petty cash drawers. 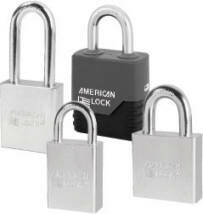 The locks can be used alone or in combination with other locking devices for maximum security. The 900 Series Simplex® auxiliary lockset provides fully mechanical pushbutton access control with no electrical wiring, electronics, or batteries. Exterior access is by combination. Egress is by interior thumbturn and is free at all times. Deadbolt models are manually relocking. Deadlocking spring latch models automatically relock each time the door closes, with standard latch holdback. 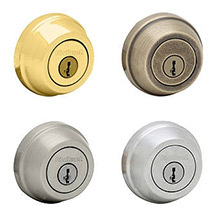 900 Series locksets are suitable for commercial or residential applications. Mounts above existing lockset, or can be used alone. The pushbutton design eliminates problems associated with the issue, control, and collection of keys and magnetic cards. The combination can be quickly and easily changed to ensure continued maximum security once employees, tenants, or guests leave, saving the cost of new keys, key cylinders, magnetic cards, and card-encoding devices. The combination is changed without removing the lock from the door. 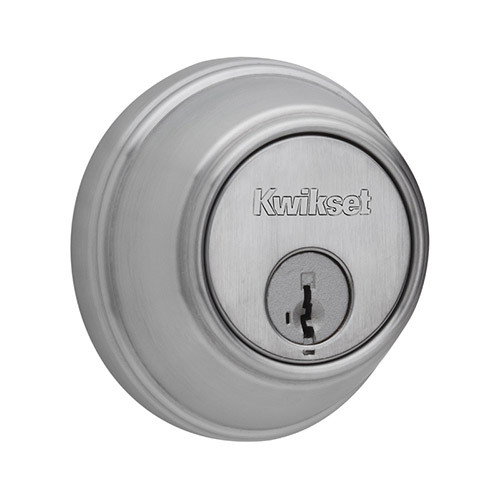 We have a large selection of Kwikset deadbolts in a variety of styles, finishes and security grades to meet your needs. Prices are affordable. 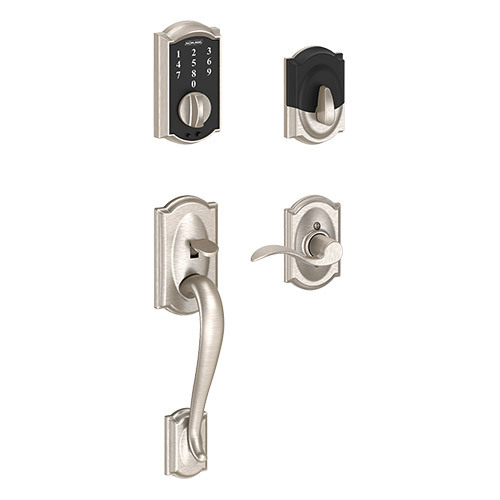 These are some of the products we have: The 660 series deadbolt, The 780 series deadbolt, The classic design of Tylo and Delta. The largest-selling deadbolt in America, the 660 series deadbolt provides tough, effective protection at an affordable price. Available in Brass and Antique Brass finishes. 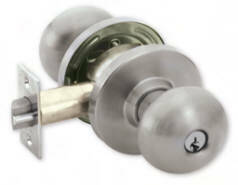 The 780 series deadbolts offer premium security features including a 6-pin cylinder with pick resistant pins. Available in Brass, Antique Brass, Satin Nickel and Satin Chrome finishes. The classic design of Tylo is at home in any decor. Its style lends a graceful finish to any door. Available in Brass and Antique Brass finishes. A clean, streamlined design, Delta fits a whole range of decorating styles beautifully, from traditional and ranch to contemporary. Available in Brass and Antique Brass finishes. With Schlage door knobs, you know you’re getting the durability you need, because Schlage products have been specially designed to last a lifetime. And with our wide variety of designs, you’ll also get the freedom to coordinate every detail of your decor without compromise. The right door knob helps protect your home, and the privacy of each room within it. They also reflect your unique style. With Schlage door knobs, you know you’re getting the durability you need, because Schlage products have been specially designed to last a lifetime. And with our wide variety of designs, you’ll also get the freedom to coordinate every detail of your decor without compromise. Discover bold, beautiful door levers that make themselves right at home in your dwelling. From simple, classic elegance to striking, modern design, Schlage levers fit your home, and the way you live. Choose from a wide array of unique designs and finishes, all finely-crafted to bring you superior quality and stunning design. Grade 2 certification – Highest Residential Security. Grade 2 is designed and built to offer excellent security and durability for more residential applications and some light commercial applications. Grade 3 certification – Basic residential security. Grade 3 is the lowest grade provided by ANSI, the minimal acceptable quality for residential door locks. Both knobs or levers always unlocked. Push button locking. Can be opened from outside with small screw driver or flat narrow tool. Turning inside knob/lever or closing door releases button. Pushing and turning button locks outside knob/lever requiring use of key until button is manually unlocked. Outside knob/lever locked and unlocked by key. Inside knob/lever always unlocked. Outside knob/lever fixed. Entrance by key only. Inside knob/lever always unlocked. Blank plate on outside. Inside knob/lever always unlocked. 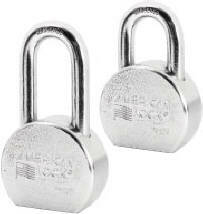 American Lock solid steel padlocks are the strongest padlocks available, with hardened, triple plated steel bodies that resist break-in attempts, corrosion, rust and debris. 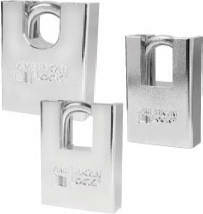 Hardened boron alloy shackles offer superior protection against cutting, while serrated cylinder pins resist picking. 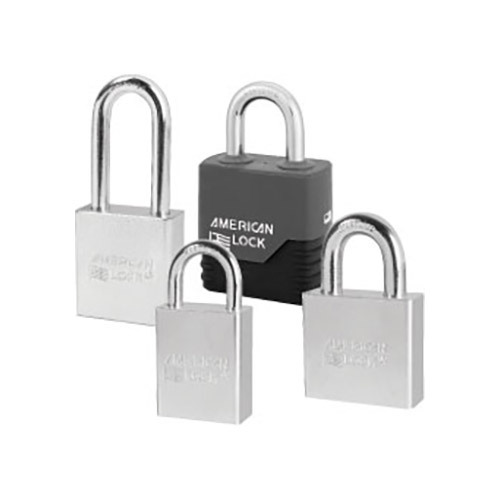 You have to be tough to wear the name ‘American Lock.’ Providing industrial grade security, our high security products are solid body, case-hardened padlocks precision machined from top quality bars of steel, brass and aluminum for extra strength. These tough one-piece padlocks are drilled to exact body dimensions and impact resistant, with no rattling of parts or entry points for moisture or debris. • Case hardened, chrome plated, solid steel bodies resist cutting, sawing and corrosion. • Case hardened, plated, boron alloy steel shackle-less protect against bolt cutters. • 5 and 6 Pin cylinders are pick-resistant. Uscan is a value brand that provides unparalleled security for all commercial and residential requirements. We have the following Uscan products: Clutched Cylindrical Leverset, Cylindrical Lockset, Deadbolt Removable Cylinder and a big variety of latches. Heavy duty cylindrical clutched grade 1 leverset. Medium duty cylindrical clutched grade 2 leverset. Interior push and turn button. Accepts most manufacturers aftermarket cylinders. 2-3/8″ and 2-3/4″ UL listed latchbolt. Designed to install with ease. 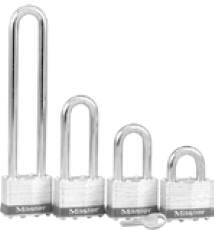 Heavy duty cylinderical grade 1 lockset. 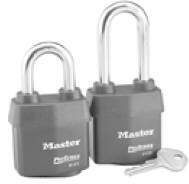 Medium duty cylindrical grade 2 lockset. Medium duty residential grade 3 lockset. Orbit, tulip or tylo knob design. Accepts most manufacturers aftermarkey cylinders. SC1, WR3 or KW1 keyways. Heavy duty commercial grade 2 deadbolt. 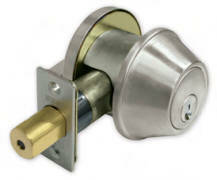 Medium duty single and double cylinder grade 3 deadbolt. New 6-way adjustable 1″ deadbolt latch. 2-3/8″- 2-3/4″, Drive-In – Standard, Radius – Square. Includes a 1″ throw dead-bolt latch. Our store has a big selection of key accessories: Key Tag w/Split Ring, Key Light with Replaceable Battery, Key Identifiers, C-Clip, Nickel-Plated, Tempered Steel Ring, Secure-A-Key® Clip On, Key Bak, Lanyard, Large & Extra Large Magnetic Key Hider, Key Tag with Ring and more. Durable tag for keys. Also fits key tag racks. Made of tough polypropylene. Replacement battery allows for continued use. Key fits into plastic body of key light to easily find keyhole in the dark. 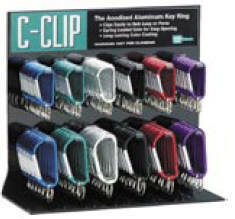 Clips to belt or purse. Spring stainless steel won’t rust, adds strength so product stays securely clipped to a belt. Quickly clips onto belt, holds up under heavy use. Supplied with 1-1/8″ nickel plated tempered steel split ring. High-quality key reel with 24″ retractable pull of fl at, linked steel chain. “The Original” Key Bak®, since 1949. Clip on belt or Slip through belt for added security. Extremely durable. Ideal for security personnel, custodial staff and those who use keys frequently. Includes a manufacturers’ Lifetime Service Policy. Perfect to attach whistle or keeping house keys secure. Metal swivel allows clip to lie flat against chest. Made of strong woven nylon. Large key hider is made of rugged black plastic and holds two large keys. Extra large key hider is made of rugged black plastic and holds large, rubber headed keys. 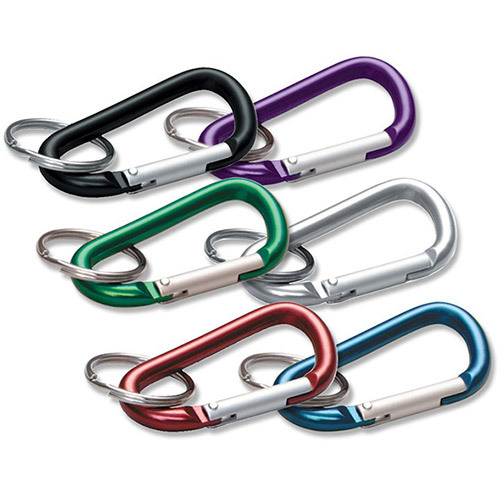 2 heavy-duty, superior magnets hold to any steel surface. Ideal for use on all vehicles, or any magnetic surface where you want to hide a key for emergencies. Paper insert slides out easily. Clear plastic insert protects writing from the elements. Durable tag for keys. Also fi ts key tag racks. Paper insert slides out for easy writing. 7/8″ nickel-plated tempered steel split key ring. Durable, transparent tag for keys or luggage. 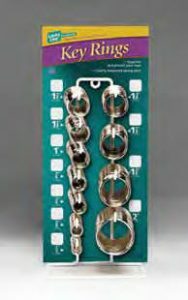 Heavy-duty 4-1/2″ nickel-plated steel ball chain. Bob’s Lock and Key Shop will help with all your locksmith needs. We have been providing security solutions installation, services, and removals in the area of Sioux Falls for the past 50 years. We understand what it means to feel safe and secure, we sell top brands, and high quality products with the latest technology that delivers convenience in the door lock hardware of your home or business. Expect professional, fast and courteous service. Our goal is to satisfy your needs. We sell high quality brand products, our prices are fair and competitive. We are conveniently in Sioux Falls, South Dakota. We are proud to serve all the surrounding areas.